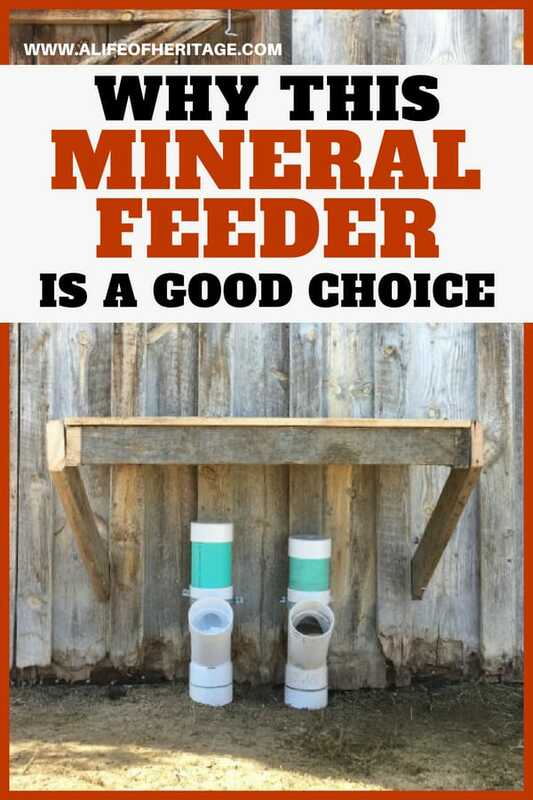 A goat mineral feeder that is easy to make and won’t waste any expensive minerals. ✓ Inexpensive! ✓ Easy to assemble! ✓ Durable! ✓ Easy to check and fill. 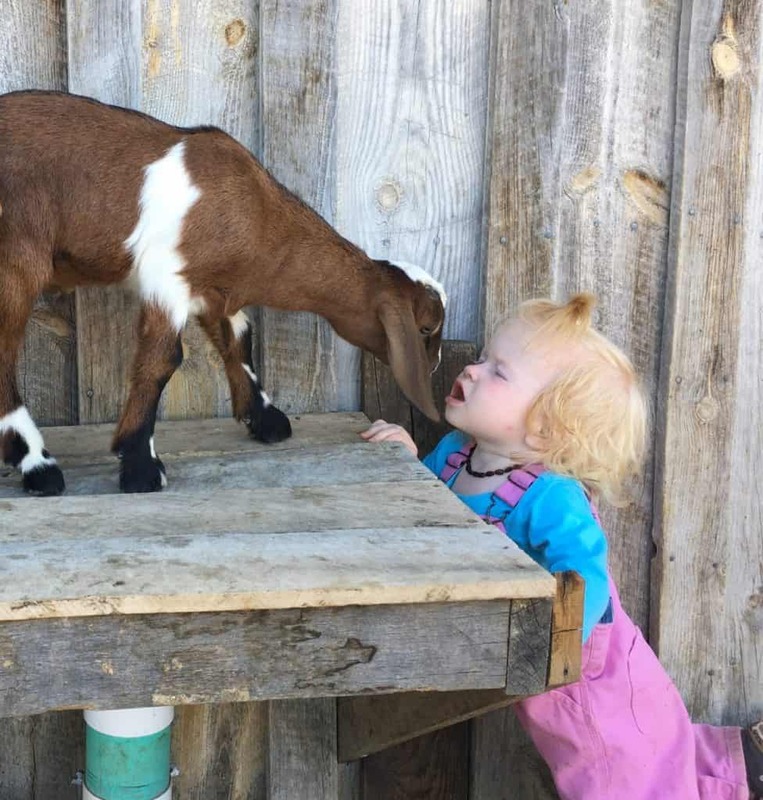 This is one more great post on our raising goats resource page. Seriously. This is not something to shirk on. If you don’t have goat mineral and baking soda out for your goats right now, stop reading and go get some. Pinterest, oh Pinterest! You give me so many good ideas! 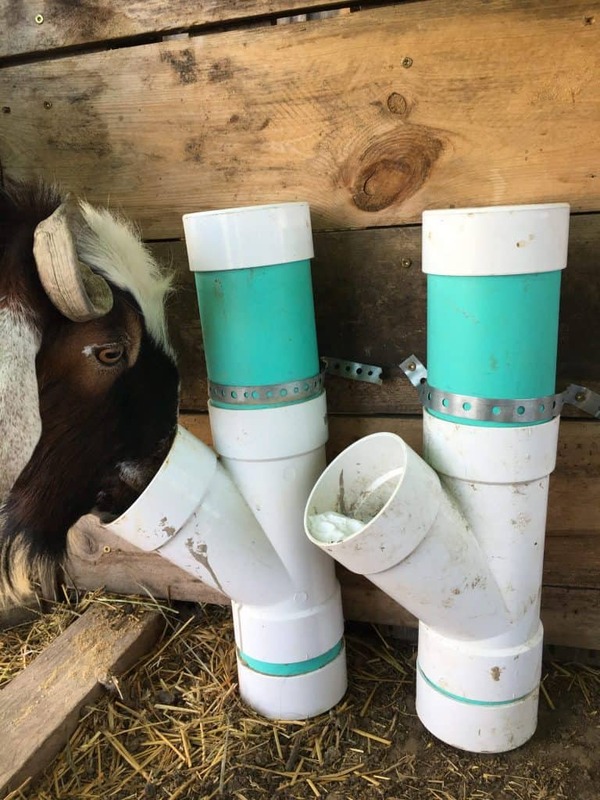 And that is where I found this idea of making goat mineral feeders using PVC pipe. I started out providing mineral and baking soda, free choice, in the dispensers below but I realized after a couple months that this was not going to work well. So I modified the set up a bit. • They were too tall. Goats like fresh baking soda and mineral and if something did go awry, the contents were ruined and therefore not eaten. It didn’t make sense to keep filling and filling to the top because there were three feet of possibility for things to go wrong and get clogged up. • There was also no protection from the weather. 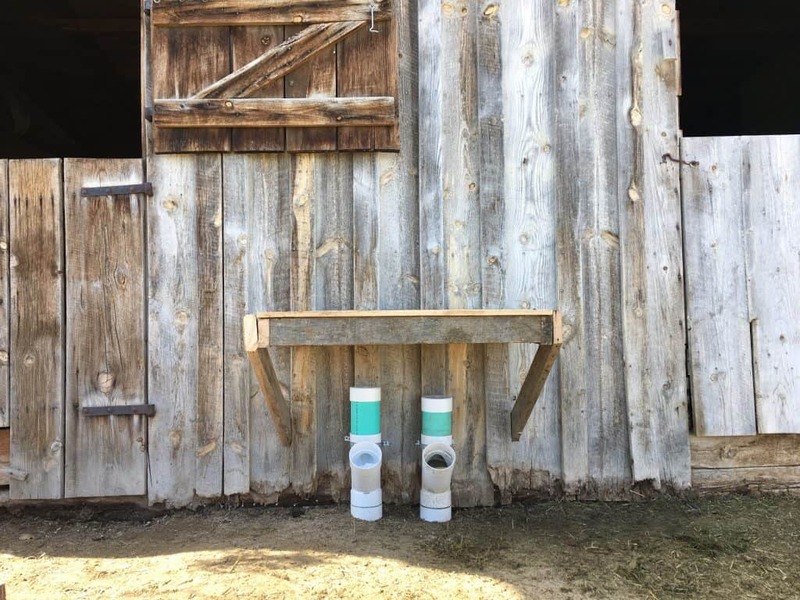 Although this is located on the east side of the barn and therefore usually out of the wind, it still allowed for moisture to accumulate into the openings and ruin the expensive mineral. • The deep opening and bottom. 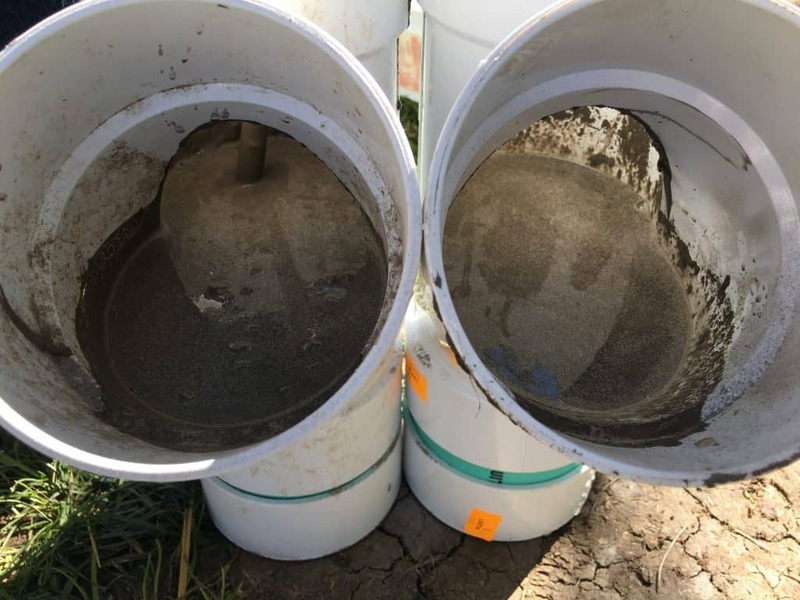 These fittings were too deep and allowed a bunch of mineral to go to the bottom and to be ruined and wasted. That doesn’t make sense, right? 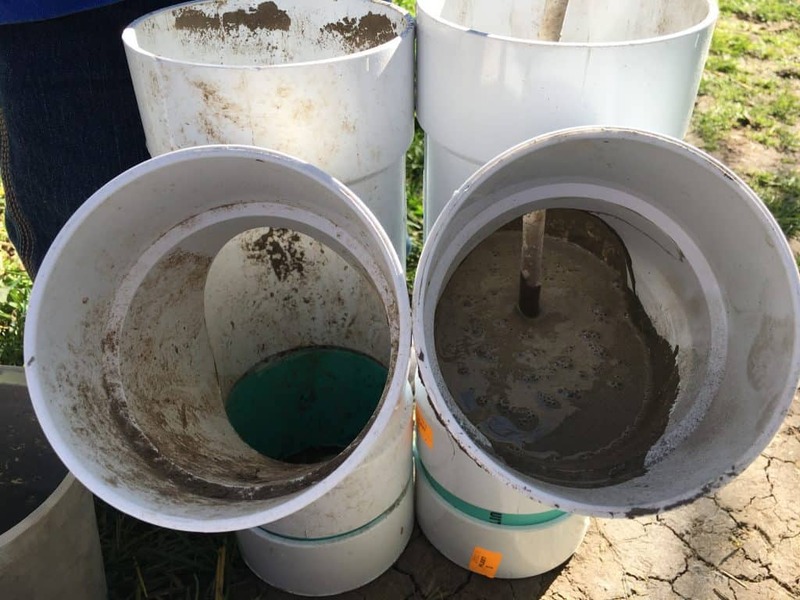 The solution was to fill the bottom with self-leveling cement. This stuff is fun! It’s so easy to make and I love to have a bag around at all times…because you just never know when you might need it! 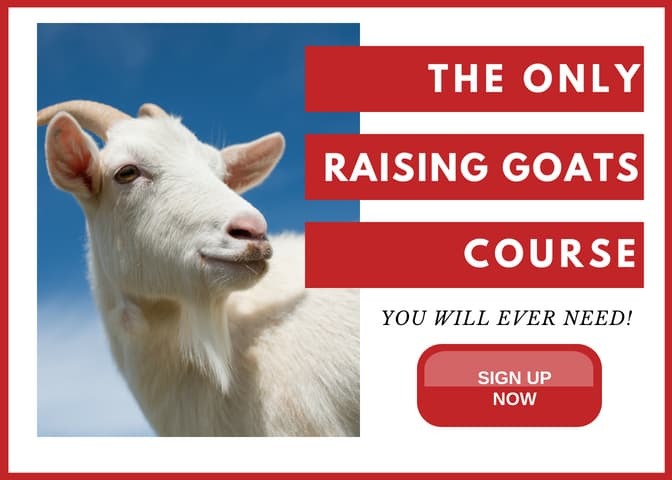 ✓ Free Resource Page for Homesteaders and goat lovers like yourself! Cha-ching! You can have immediate access to 30+ FREE resources. Check ’em out! 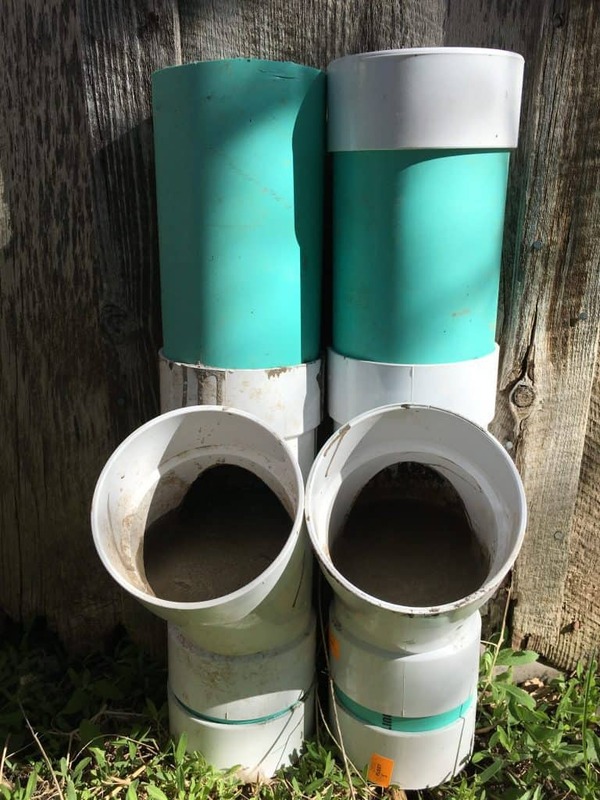 As shown in the pictures below, I mixed water with the cement inside the bottom of the PVC pipe with a stick. 😉 I’m preeetty high tech! You can find the instructions on the bag of cement. I’ll be honest, I just mix until it’s just right. It’s pretty easy to handle! After mixing, the mineral feeders sat for 24 hours to dry and then the mineral and baking soda was added! 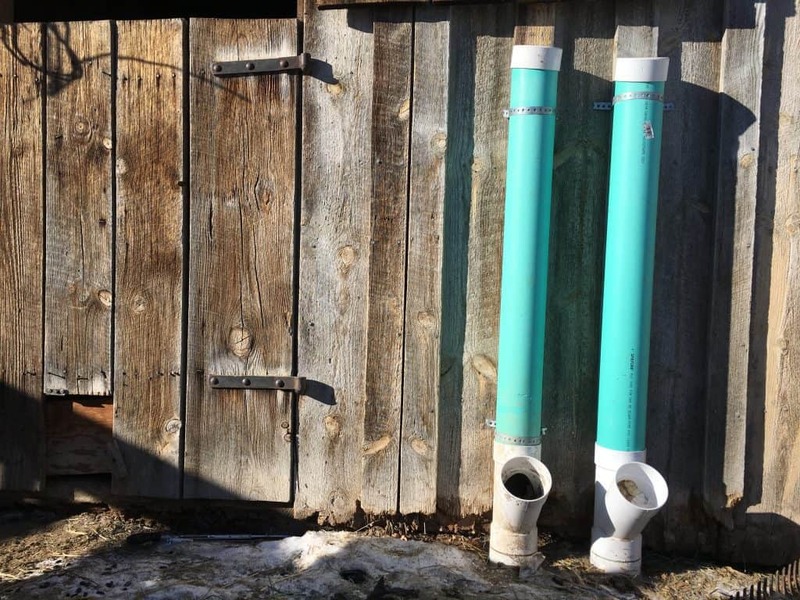 The photo below shows that the green portions of the PVC pipes were also cut down considerably. 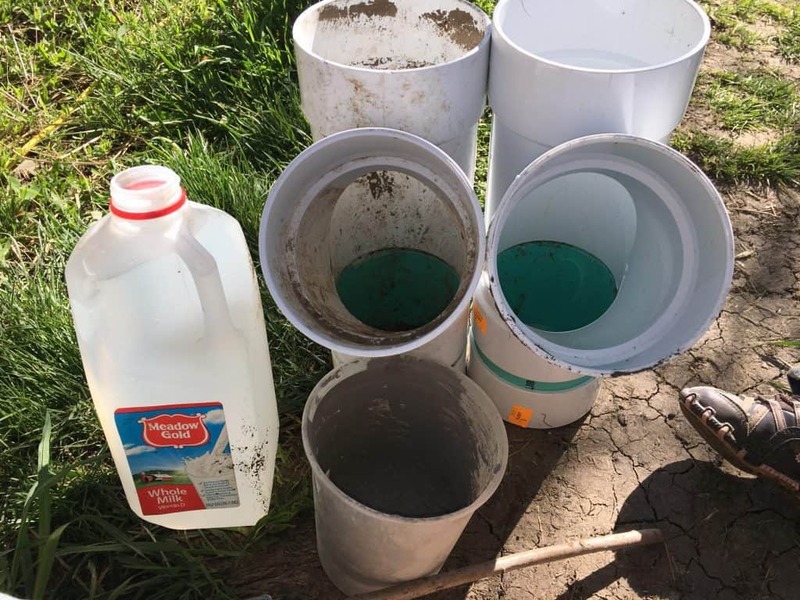 It was cut to about one foot and seems to be the perfect amount to be filled every couple of weeks to a month, depending on how many goats are using it. The level of the cement is just right as well. The mineral is at the perfect level for none of it to get lost in the back or bottom of the feeder. They have no difficulties getting their noses into the openings and getting to the contents. 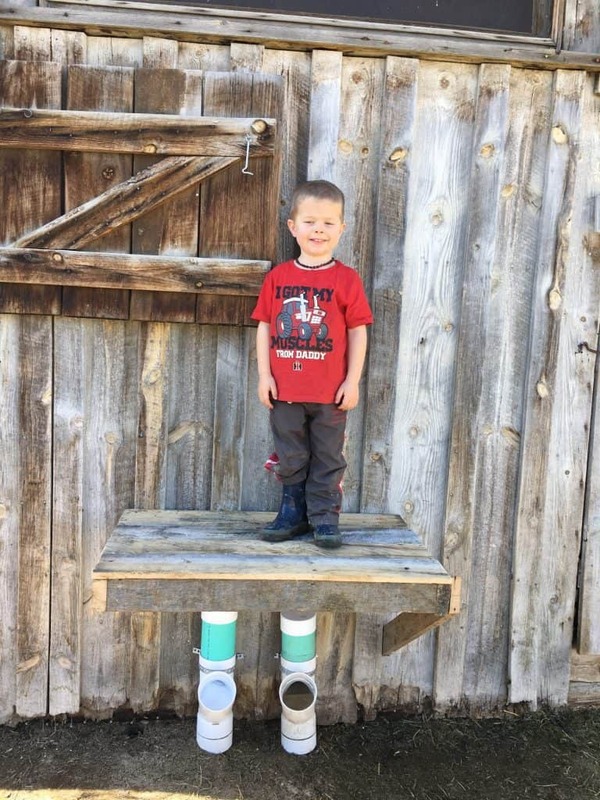 Kids of all shapes and sizes enjoy the stand! 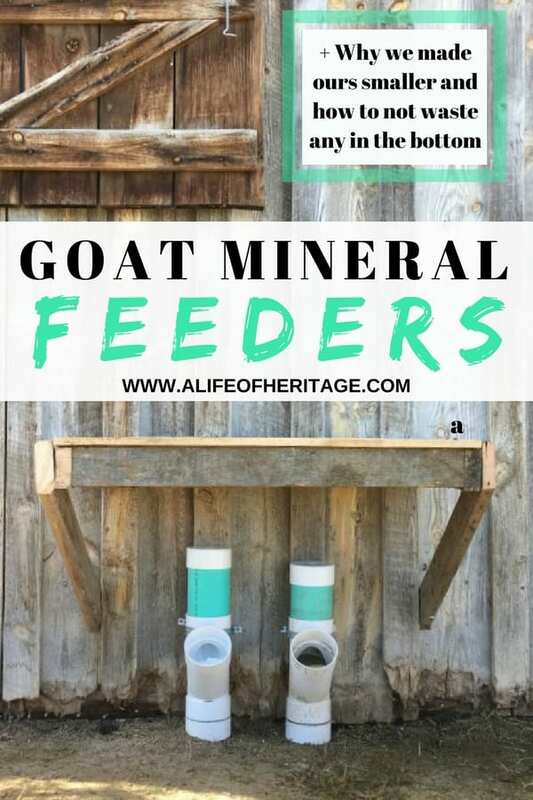 How the mineral and baking soda are displayed for goat consumption doesn’t matter. 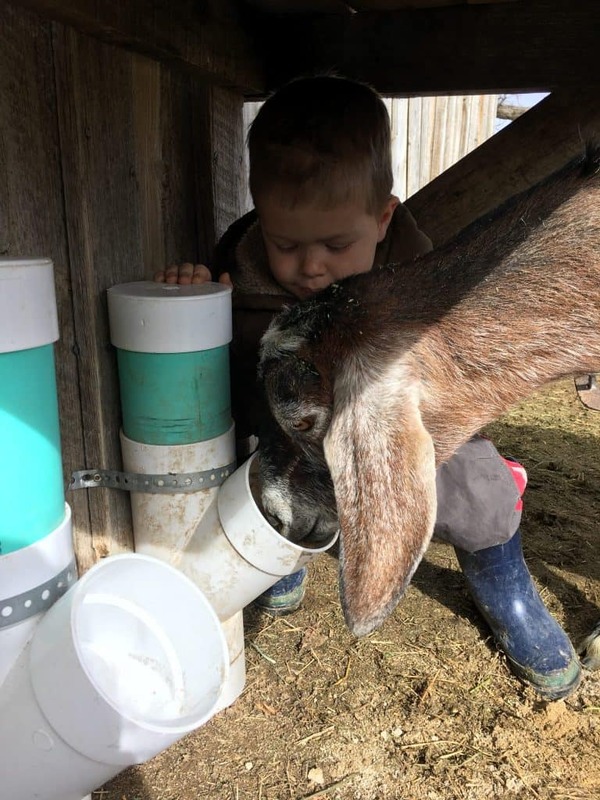 But this PVC pipe feeder for goats has been a great choice for our set up. ✓ Keeps loose mineral off the ground and away from dirty feet. ✓ Easy to check and fill. And that my dear friends, makes it a very good choice for feeding loose mineral to your goats.